Will Energy-Efficient Windows Save You Money? Fall’s coming. That makes it a great time to think about home improvements that will keep you and your family cozy in the months ahead. It’s a fact that windows play an important role in the snugness of your home. They can account for 25-30% of your home energy costs. But it’s a fiction that windows are your greatest source of heat loss and that you should rush to replace them. You lose far more heat through two other parts of your house. The biggest culprit for wasting warmth on cold days? That’s your roof, which can leak 35-50% of your heating energy, depending on your insulation. The next biggest heat thief is walls, which lose warmth through cracks, gaps around ductwork, electrical outlets, recessed lighting, and more. In fact, windows only account for about one-fifth of the heat escaping from your home. Yet if windows aren’t the least energy-efficient feature of your home, does it still pay to be “energy smart” about them? It does. And there are some simple things you can do to be energy-efficient AND cost-efficient this winter. One “fact” you might see out there is that new windows pay for themselves through savings on your fuel bills. They might—if you own your home long enough. But let’s look at the data first. New windows will definitely make your home feel snugger, particularly if you have an older home with single-pane glass windows. Well-installed replacement windows will fit tightly, look great and be easier to operate and maintain. But it obviously costs something to replace your windows. My wife may yell at me for telling you this, but the money you save on fuel bills from installing new, energy-efficient windows is not going to cover the cost of those windows near term. So it’s a fact that new windows can help cut your fuel bills, but it’s a fiction that they do it cost-effectively AND quickly. If your windows are in decent shape, the most penny-wise thing you can do is improve their weather-worthiness. Caulking or weather stripping can go a long way toward eliminating drafts through cracks in the frame. Some folks also put up a layer of plastic film to help hold in warm air. All that helps. 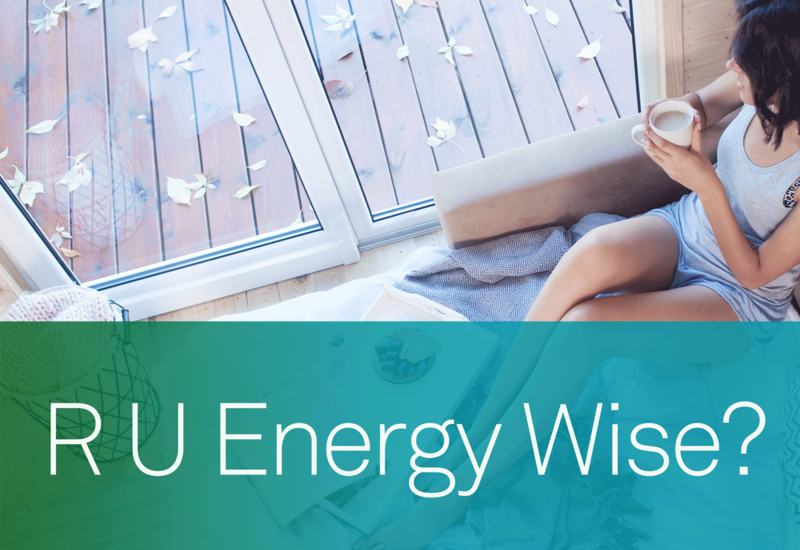 If you’re still thinking about replacing your windows with more energy-efficient ones, there are several factors to weigh. Different glazing options offer different energy benefits—double pane, triple pane, reflective glass, gas-filled, and so on. The window frame material also makes a big difference. Wood, fiberglass, and vinyl frames all offer greater thermal resistance than aluminum, for example. We can walk you through the options. Simply, the ENERGY STAR label says a product has been tested and deemed energy-efficient. The NFRC label then helps you dig deeper by comparing performance across certain criteria, so you can evaluate products against each other. There are two more ratings to know: If you see an “R-value” on a product, that “R” is for “resistance.” It measures how resistant a glass product is to heat flow, or losing heat. A higher R-value indicates good insulating properties. Another number is “U-factor” or “U-value.” U-factor measures how quickly a glass product transmits heat between the interior and exterior spaces. A lower U-factor also indicates good insulating qualities. Simply, you want windows with high “R” numbers and low “U” numbers. Like so many other projects around your home, the quality of the contractor you hire makes a huge difference in your experience. Bad window installations can leak, cause drafts, and lead to moisture damage. A great installation will add to the value, appearance, and comfort of your home while minimizing disruption to your life. At McCann Windows & Exteriors, we believe in guaranteeing your satisfaction. And that’s a fact! Please give us a call with any questions. We’re ready to serve you and estimates are free. Just visit https://mccannwindow.com or call 847-852-4513. I’ll See Who’s At the Door! Feel a little excited when the doorbell rings (making the dog bark hysterically, of course) or there’s a sudden knock? I do. And maybe you’re also a little anxious, as in: Yikes, who’s come to see me? And do I want to see them? There’s a new tech-savvy answer to such front door drama. It’s called the smart video doorbell. It’s an innovation for people who want the convenience of screening visitors without answering the door, plus the security of monitoring who’s on your property without installing a fancy security system. And you don’t need much more than a strong Wi-Fi signal near the door to make it all happen. Imagine getting an alert on your phone when someone rings the doorbell, followed by a live video feed of your visitor. Or monitoring any activity near your entrances even if someone doesn’t ring the bell (for instance, if the mailman leaves a package). Imagine being able to see if your kids have gotten home safely from school—and greet them—or from a date, whether you’re simply upstairs or hundreds of miles away. Video doorbells are fantastic for creating the impression that you’re home even when you’re not. Lots of manufacturers are getting into this field, so there’s an expanding range of products with a similarly wide range in product prices. The simplest devices start for under $30; the most deluxe smart doorbells go for more than $500. You can probably find a product you like in the $200 range. Best of all, if you’re even a little handy, you can install the device yourself. Some are battery operated, while others connect to the existing wiring. Of course, if you have any doubts, be sure to hire a home repair professional to get set up. The most important variable is a strong Wi-Fi connection near your door. Without it, you won’t get reliable video or two-way audio. Make sure that your Wi-Fi router is close enough to your smart doorbell to give it a consistent, steady signal. Another variable is properly installing the motion sensors. You want to make sure they are aimed properly so you don’t get pinged every time the wind rustles the trees or a car drives by. More good news: Even at night, the cameras are sensitive enough to capture a recognizable image. And they can stand up to wind and rain. Smart doorbells can do a lot for your peace of mind—even if they can’t improve your knock-knock jokes. At McCann Windows & Exteriors, we want you to enjoy your home and take pride in it. Let us know how we can be of service when it comes to replacing or upgrading your doors, windows, and exteriors. We’re ready to help and estimates are free. Just visit https://mccannwindow.com or call us at 847-807-1290. You can upgrade your decor for minimal cost and effort just by installing new hardware — knobs, pulls and locks on your interior doors. You’ll also find many new hardware levers, which are easier for many to operate than the traditional knob. If you plan to stay in your home for the rest of your life, installing lever types is a great fix for long-term ease of use. Replacing door hardware is also a good idea if your house has basic door hardware but you want to bring more personalized style to your doors. You will want to find hardware that is congruent with the architecture of your house. Brass and bronze tend to suit traditional architecture, while crystal knobs can be more specific to Victorian designs, for example. Style. Many of us are used to traditional brass hardware in the shape of a ball or flat round. Cost: There are plenty of basic choices from $10 to $30. Of course, as with anything in home improvement projects, you can spend much more. Coordinate. A suite of knobs, levers, and locks can coordinate your entire house (pictured above). These knobs begin at around $43, while the door handles begin at around $80. High-quality hardware like this typically must be bought through your professional. SA Baxter Architectural Hardware. Something different. This design functions identically to the brass knob in the second photo, but its lines and finish stand far apart with a sleek modern execution. Finish. You will be shocked to see how many door hardware choices there are. This bronze knob (third, right) goes beyond the ordinary — note the variance in the bronze treatment. Function. Notice the lever style is labeled “dummy.” These are used in locations where both sides of the door do not need a handle. For example, you might have a shallow linen closet with a full-size door; this type of handle is placed only on the outside of the door. Lockability. A privacy lockset has handles on both sides of the door, and the ability to lock the door from the interior of the room. Fancy. 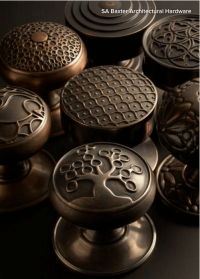 Doorknobs with more elaborate designs and higher-end materials and finishes, such as brushed nickel (bottom, right), can easily be double the price of simpler hardware. In the high-end world, manufacturers provide seemingly infinite finishes and spectacular designs for prices in the hundreds of dollars per set. Some brands may require the assistance of an architect or interior designer, as they are available only to the trade. Examine the delightful variation in these doorknob designs from SA Baxter Architectural Hardware, and you see can that this is like choosing jewelry for your house. This is one thing you can really make personal and specific to you. These remarkable embossed designs come in several different finishes and begin at around $500. First step: Whittle down choices before you start shopping by determining the categories important to you. I am finding that my clients are so overwhelmed by the vast range of products that it is better to narrow your search before you look at what is available. You can always expand your options once you start seeing things you like, but beginning with a focus will help keep you from being overwhelmed. I recommend Sheena Iyengar’s TED talk to better understand the implication of so many choices and to help you deal with this inevitable homeowner conundrum. Checklist: Here is a quick list to consider when beginning your search for the perfect doorknob. Set a budget per knob or lever. Narrow down the finishes to a manageable few and become familiar with the variations of your favorites. 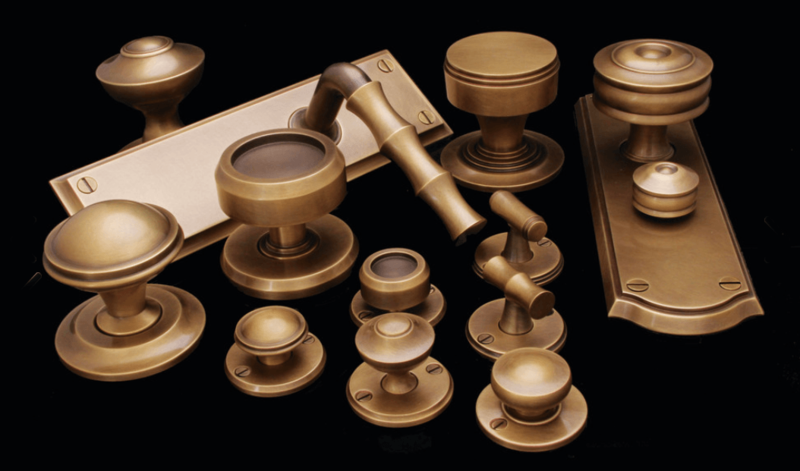 Determine if you want a knob or lever design. Determine your home’s style: modern, Craftsman, Victorian, eclectic etc. Learn more. Check what will work with your existing decor. Ready to install a new exterior door? Contact us: We will help you with all the details. Needing or having to replace a window is never fun, and ultimately speaking there is never a good time to have to do so. But having to replace your windows during the winter months may be seen as a little more daunting than any other time of the year. You shouldn’t be afraid of the task of winter window replacement… in fact you should embrace it. For one thing you are taking care of a problem that could be very costly if ignored. Old windows can bring on air leakage allowing more cold air to come into your home, making your energy costs go up. When you replace your old windows you don’t have to worry about any cold air leaking in. Replacing your windows during the winter will leave you in a better position in various ways when you look at the bigger picture. Not only will it get rid of the draftiness that you may be experiencing due to having old windows, but new windows are also easier to clean, they’re energy efficient, they control noise, they have light control, they give you better ventilation when you need it, and they will improve the appearance of your home! When you replace your windows you don’t have to worry about the process taking long; you can rest assured that you will get your old windows out and your new windows put in place in no time! If you find that you need to replace your windows this winter in Northbrook, IL there’s one place for you to go. McCann Window & Exteriors is who you want to call. There is no other home enhancement company that will be able to get your new windows in place with ease. Give us a call at 847-562-1212. We are located in Northbrook, IL on Anthony Trail!